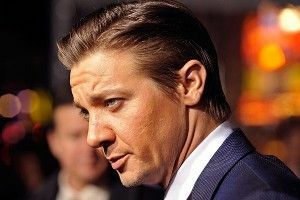 Well, this is kind of a crazy one: Variety reports that Jeremy Renner is slated to produce and star in Kill the Messenger, “based on investigative journalist Gary Webb’s stories alleging the CIA’s involvement in the spread of crack cocaine in Los Angeles.” Wait — Renner? The same dude who never met a gasping or ill-advised franchise he didn’t like? Now taking shots at the government? Well, all right. Get ’em, Jeremy. Webb was a reporter at the San Jose Mercury News who wrote a three-part series called “Dark Alliances,” linking the CIA “to a scheme to arm Contra rebels in Nicaragua and import cocaine into California.” Tragically, after being the target of a smear campaign related to his explosive reporting, Webb committed suicide in 2004. Michael Cuesta — who’s directed a bunch of TV, including episodes of Homeland and Six Feet Under — will direct the script by Peter Landesman, a journalist himself (Landesman is also slated to direct Parkland, a JFK assassination movie, for Tom Hanks’s production company). And Jeremy Renner — Jeremy Renner — will be the fearless crusader-for-truth guy. Maybe CGI witch-hunting turned out not to be the emotionally fulfilling, spiritually nourishing experience he imagined it to be?